This rosemary roasted chicken recipe is a dish for all seasons. It goes well with a garden salad in spring-summer and seasonal vegetables in autumn-winter. We are going to roast a whole chicken big enough for a family of 4 people. 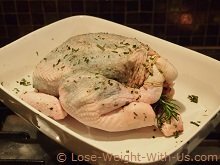 Before I met my husband, I loved to roast a chicken and then use its meat for other dishes during the week, a whole roasted chicken lasted me all week and was a time saver and very economical too! 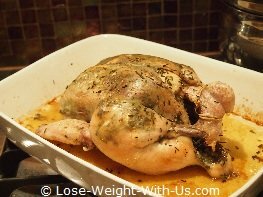 So, if you have any chicken leftovers after eating your roast dinner take a look at the leftover chicken recipes below. 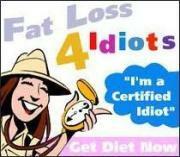 Recipe Nutritional Profile: Diabetes Appropriate, Heart Healthy, Healthy Weight, High Protein, Low Calorie, Low GI, Low Carbs, Low Saturated Fat, Low Sodium, Dairy and Gluten Free, Good Source of Vitamin B-6, Niacin, Phosphorus and Selenium. Wash the chicken and pat dry with kitchen paper inside and out. Place in the middle of the roasting dish. To prepare the rosemary, remove the wooden stalk and finely chop the rosemary leaves. 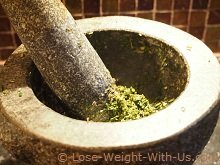 Blend together the rosemary, garlic, olive oil and seasoning using either a food processor, pestle and mortar or a hand blender. Carefully separate the skin from the meat and rub the rosemary, garlic and oil mix under the skin, then put the skin back on. 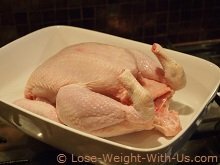 Season the chicken, cover the baking dish with foil and put in the preheated oven. After 40 min of cooking remove the foil and continue cooking until the chicken is fully cooked, to test if the chicken is ready pierce the thigh with a skewer, juices should run clear. 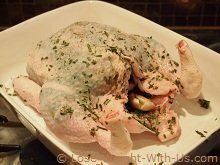 When the chicken is cooked, let the bird rest for at least 10 minutes (inside the oven if you wish), then carve and serve with seasonal, steamed or roasted vegetables. The rosemary roasted chicken nutrition facts shown in the table above are for the skinless and boneless chicken meat. Ingredients: chicken leg, celery, red pepper, green peas, onion, garlic, etc. Cooking time: 20 min, 133 kcal, 5g of net carbs. An excellent recipe to use up chicken leftovers. Ingredients: chicken, pepper, onion, tomato salsa, guacamole, sour cream and lettuce. Total time 10 min, 258 kcal, 5g of net carbs. Ingredients: chicken, cauliflower, ham, onion, garlic, sage. Cooking time: 20 min, 133 calories, 3g of net carbs.